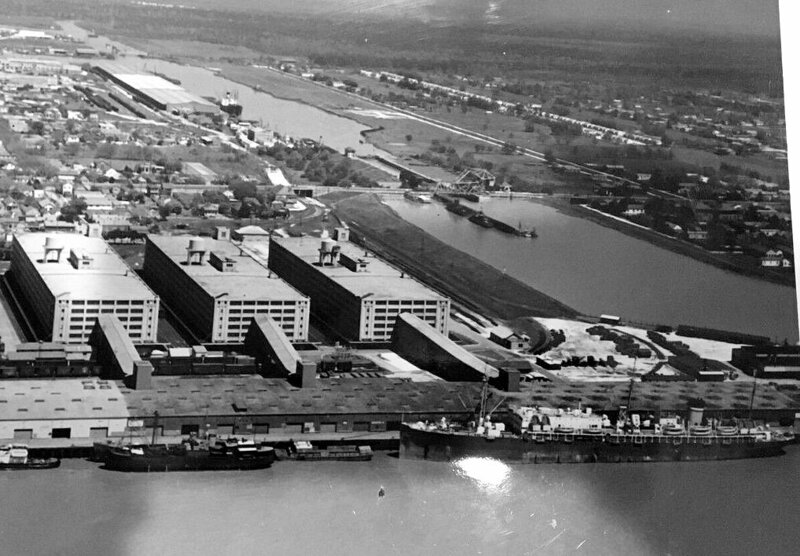 Scrapped in 1957 at Baltimore MD. 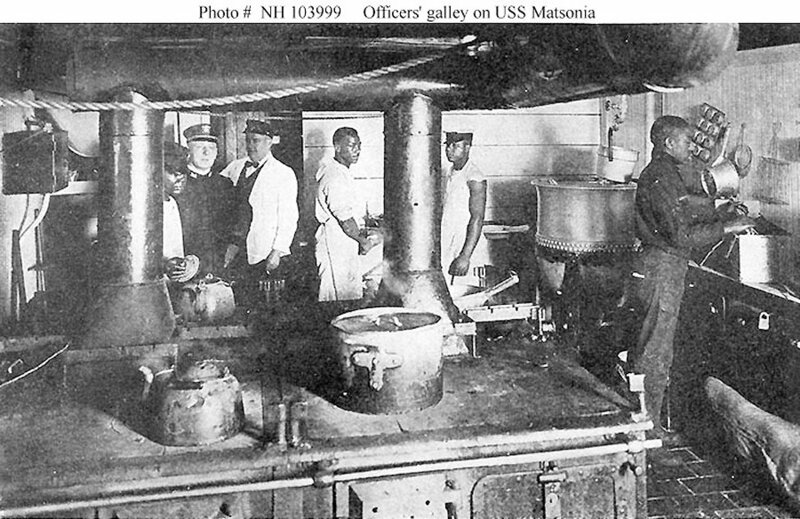 Propulsion: Three single-ended boilers, one vertical triple-expansion steam engine, one shaft. 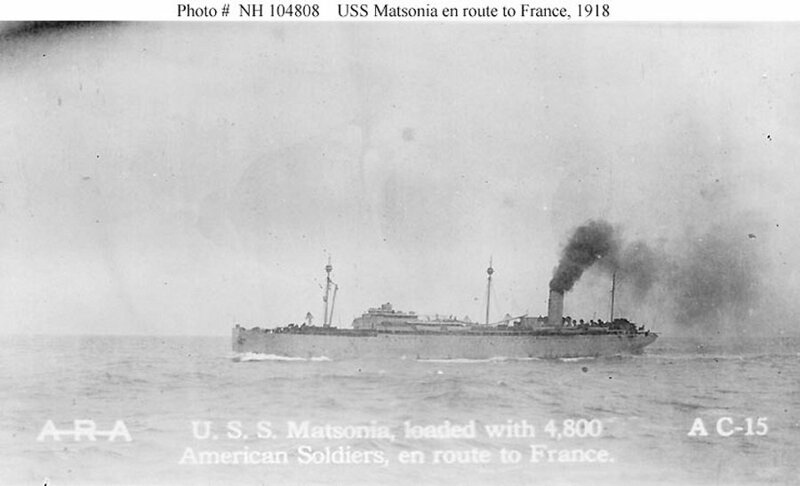 59k Underway at sea in 1918, while transporting 4800 American Soldiers from the U.S. to France for World War I service. 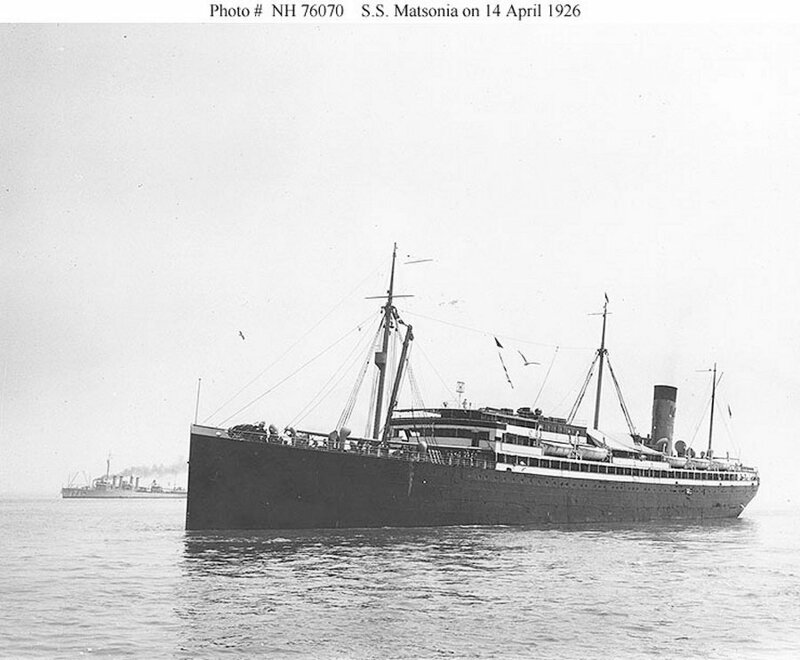 104k Photographed on 14 April 1926. 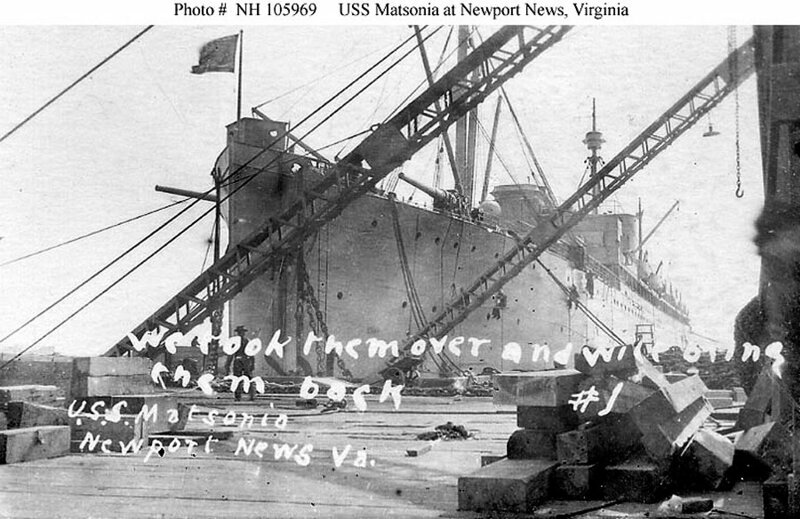 Burns (DM 11) is in the left background still wearing her destroyer hull number. 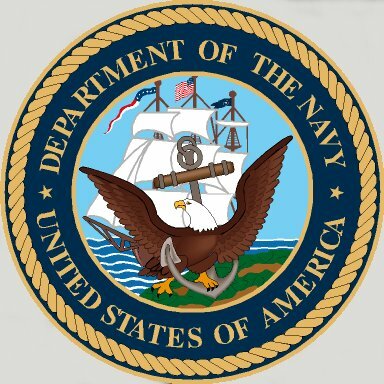 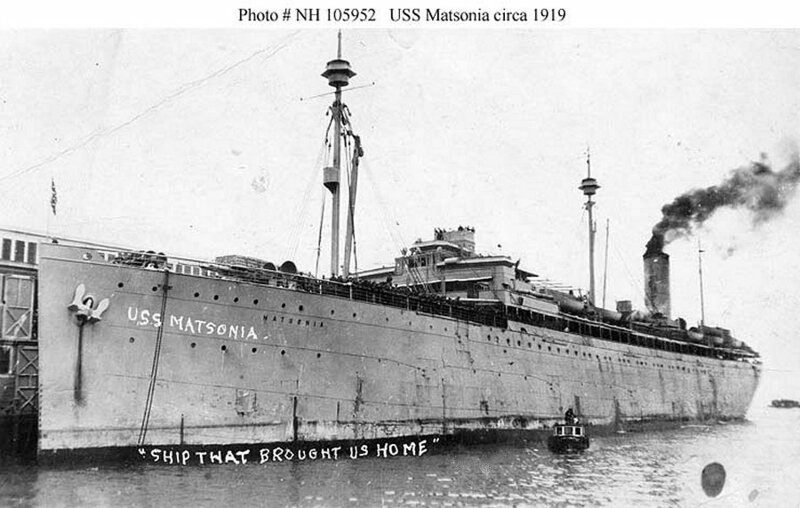 Dictionary of American Naval Fighting Ships: Matsonia (ID 1589), built by the Newport News Ship Building Co., Newport News, Va., in 1913, served the Matson Navigation Co. until taken over by the U.S. 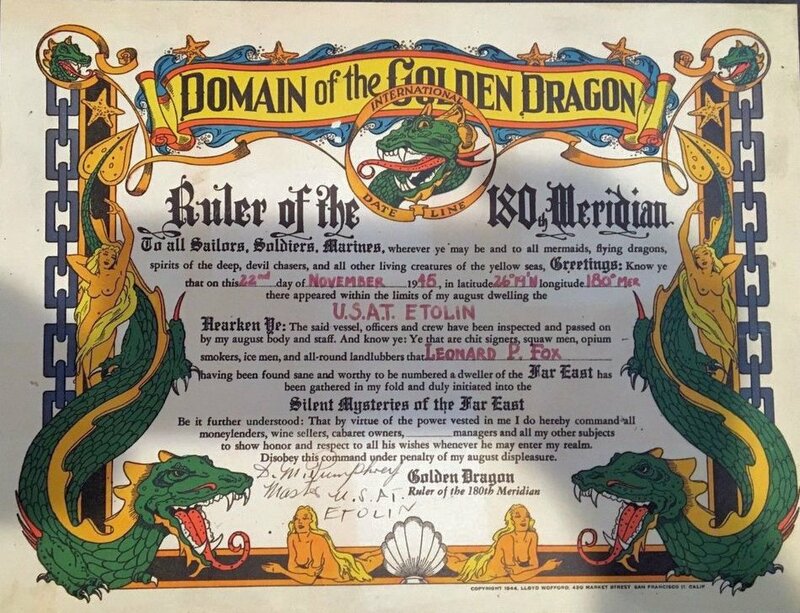 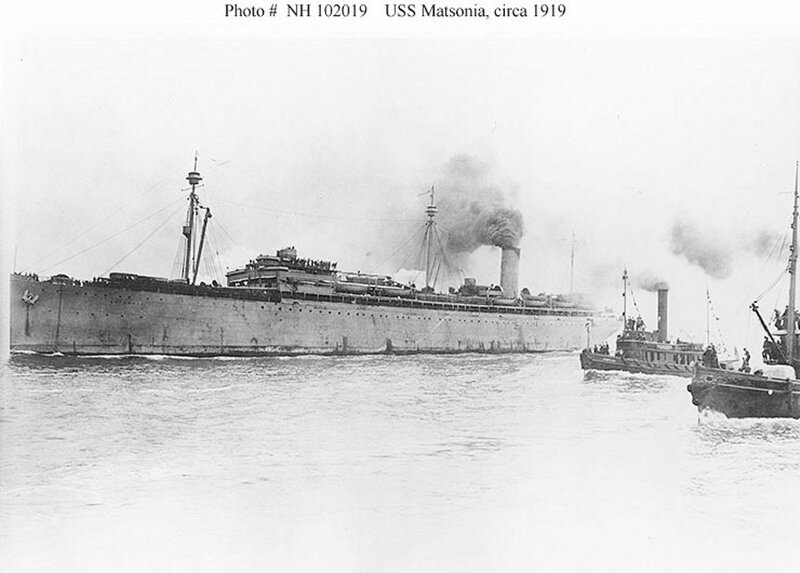 Shipping Board and turned over to the Navy at New York, 22 January 1918, for use as a troop transport. 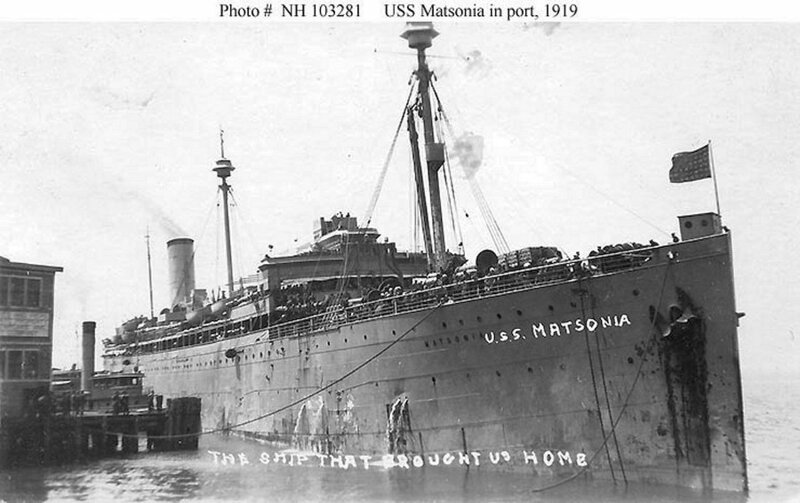 She was commissioned 1 March 1918, Capt. 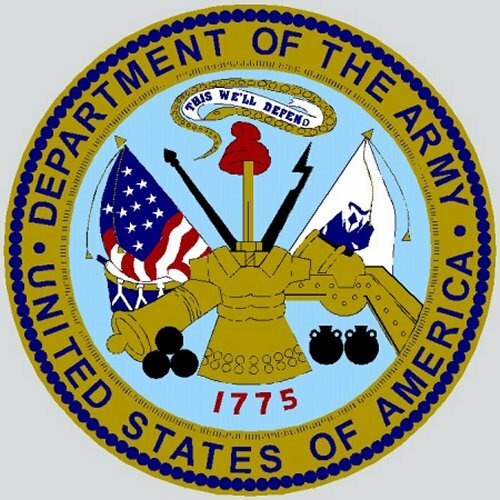 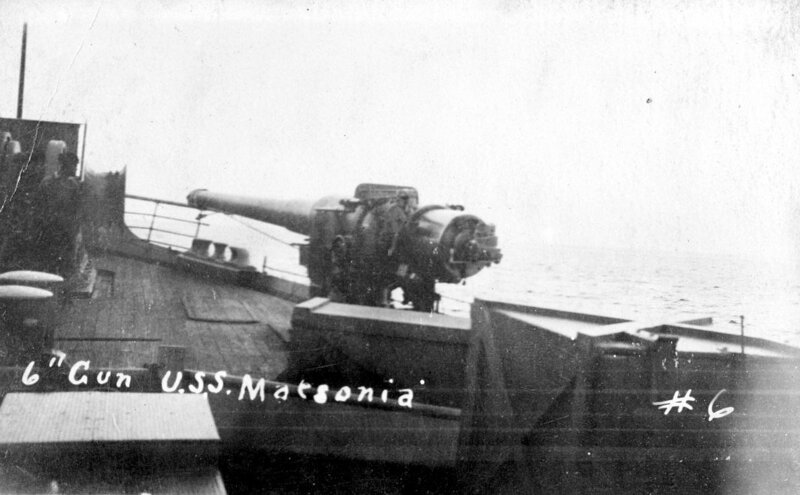 John M. Luby in command. 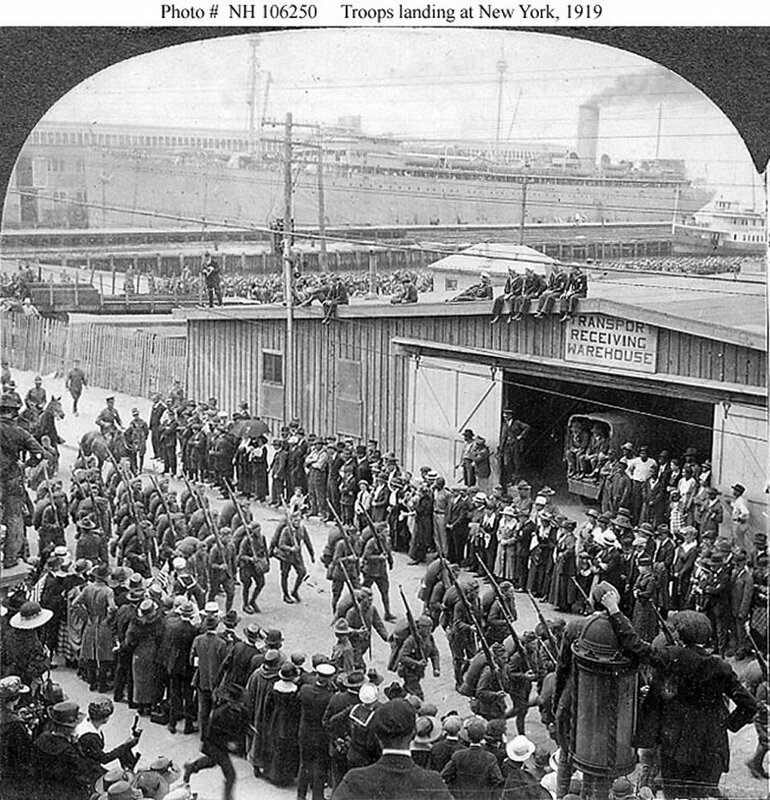 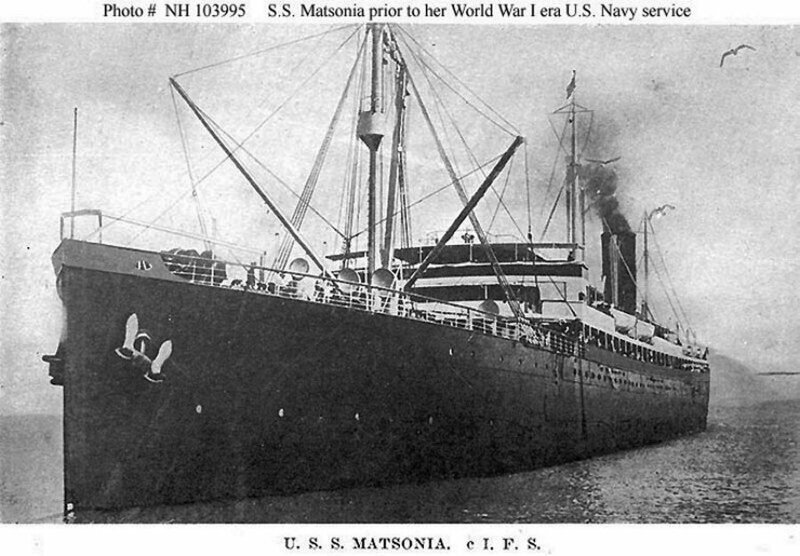 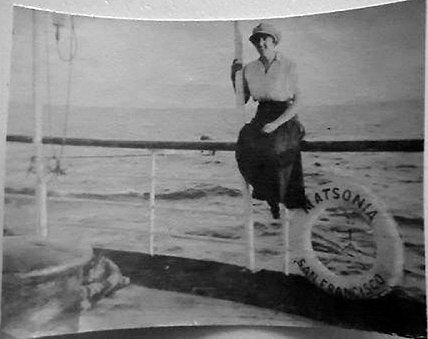 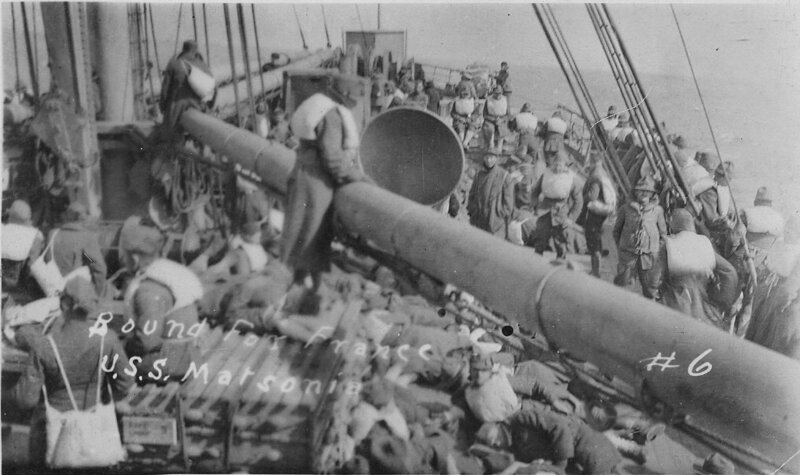 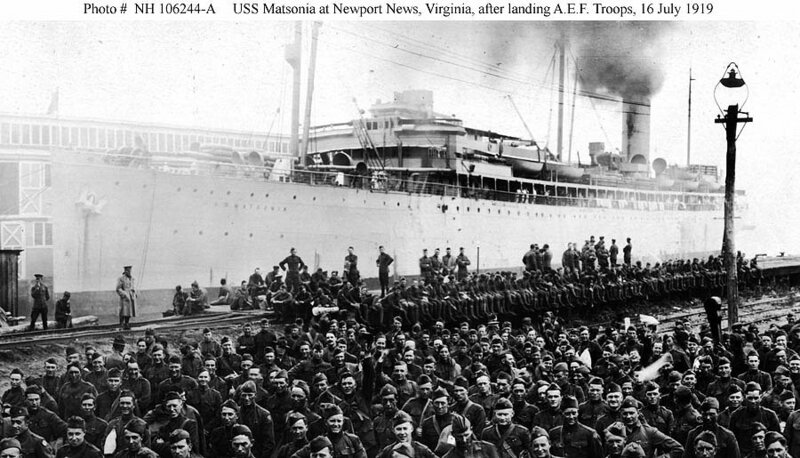 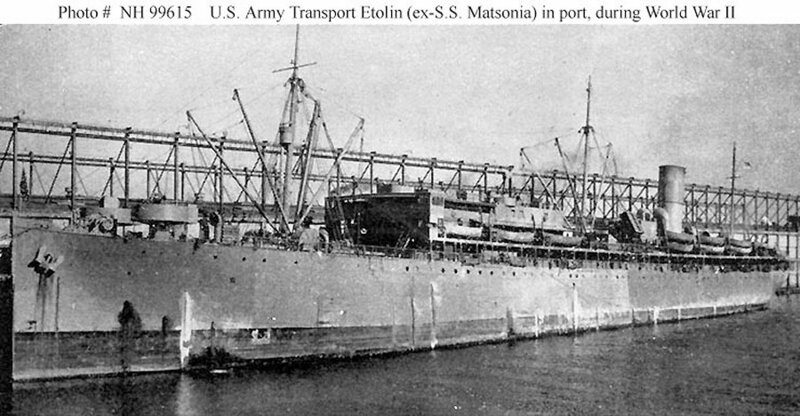 Beginning 14 March, when she sailed for France with troops and Army cargo, Matsonia completed six round trips to Europe prior to the Armistice. 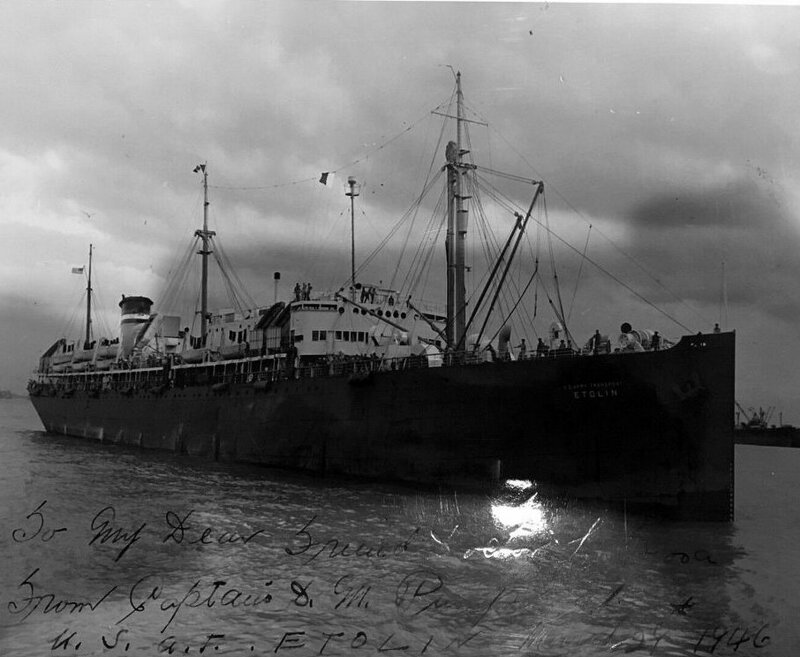 During that time she transferred to Europe 13,329 passengers, and carried back only 10. 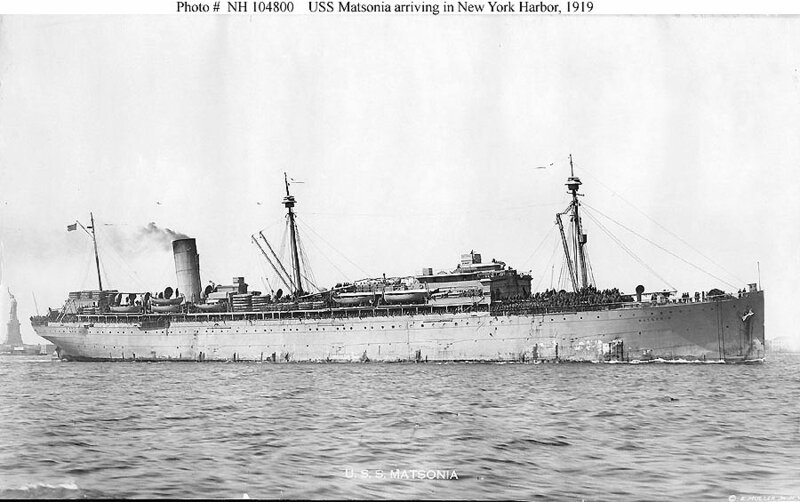 After the Armistice she continued her transatlantic crossings to return over 23,000 troops in 8 voyages, ending such crossings at New York, 20 August 1919. 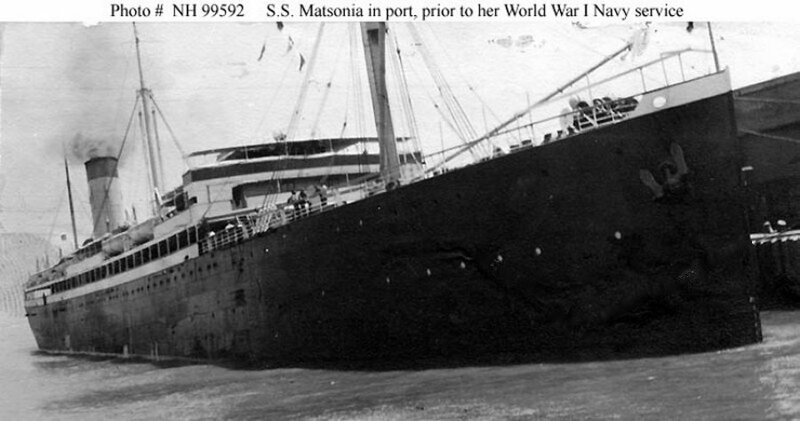 She decommissioned 12 September 1919 and was returned to her former owner on the 11th.